I have been focusing on peacebuilding instead of peacebuilding themes for the last few months because that’s what I’ve been writing about. However, the Mexican election on 1 July sent me back to comparative politics. Because of the dramatic changes it ushered in and because of the strained relations between the United States and Mexico, the results got a lot more attention than they normally would north of the border. 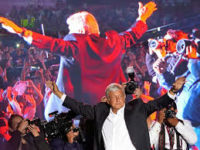 By the time the campaign began in earnest in late 2017, it was fairly clear that Andrés Manuel Lopéz Obrador (AMLO for short) would win and win easily. That was the case, in part, because the country was in the midst of wrenching long-term and short-term changes. In the long-term, it had seen the power of the PRI (Institutional Revolutionary Party) evaporate. For the first time since the end of the revolution in the 1910s, the PRI lost the presidency in 2000 and 2006 to the right of center PAN (National Action Party). Despite its own lofty expectations and reformist intentions, successive PAN presidents failed to solve many of the country’s problems, especially its drug wars that have killed at least 50,000 people in the last decade. Add to that the corruption that came with more than seventy years in office without a serious challenge, and Mexico faced a serious crisis in confidence. It was not helped by the six-year presidency of Enrique Peña Nieto who won the office back for the PRI in 2006. Despite his stated desire to rule differently, the PRI fell back into a lot of its less than productive habits during his term. His government could not do much about the violence and the sense that Mexico was becoming ungovernable. Not only did the drug violence continue, but it got worse in some areas, including the murder of at least 120 journalists in the last year. Meanwhile, the country itself has been changing dramatically. 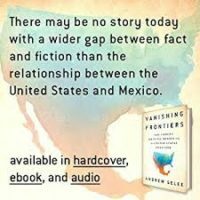 As Andrew Selee demonstrates in his remarkable new book, Vanishing Frontiers, the Mexican economy is booming, at least for the middle class that makes up at least a third of its population. The men and women he interviewed work in startups that remind him of Silicon Valley or in sophisticated factories that produce components for cars, medical equipment, and, of course, computers. Mexican companies own such iconic American brands as Thomas English Muffins and Sara Lee pastries are owned by a Mexican company, Bimbo. So, too, is America’s last domestic nail manufacturer. Meanwhile, Mexicans living in the United States have used remittance payments and other forms of investment to fuel the creation of the middle class Selee and others have described. Put simply, more and more of the electorate was fed up with the status quo. Enter AMLO whom many have seen as a Mexican Bernie Sanders, which does tell part of the story. AMLO is on left. He has a populist streak. He is charismatic. But unlike Sanders and his 2016 campaign, he did not come out of nowhere. Born in 1953, Lopéz Obrador is a product of the tumultuous 1960s. Like all ambitious young people of his day, Obrador joined the PRI despite his left-wing attitudes where he became a rising star. He joined Cuautémoc Cárdenas and many other frustrated progressives out of the PRI in 1988 to form what became the PRD. He was then elected mayor of Mexico City in 2000 and stood as the PRD candidate for president in 2006 and 2012. The 2006 election results were extremely close. AMLO claimed that the PAN had manufactured votes and that he–and not the PAN’s Felipe Calderon—had won. He refused to concede and his supports demanded that he be name president, including staging a counter inauguration. He finally accepted defeat (grudgingly) and soon broke with the PRD and formed MORENA (Movement for National Renewal) after the supposedly left of center party supported Calderon’s austerity measures and then became involved in corruption scandals of its own. It was, however, a forgone conclusion that he would run for a third time in 2018 when he would be the front runner. The campaign did nothing to dent his popularity or revive that of his opponents as Jon Lee Anderson noted in a brilliant article on AMLO published in The New Yorker just before the election. As is the norm now in Mexican politics, the main parties formed electoral coalitions. AMLO got the support of the Workers’ Party and others. The PAN, PRD, and other members of the erstwhile opposition supported Ricardo Anaya, while the PRI ran José Antonio Meade. Like all of his opponents, AMLO made his opposition to Donald Trump as clear as could be but also suggested he would work with the U.S. to reform NAFTA and other items on the American president’s agenda. No one expected the two to see eye to eye on anything, however. AMLO focused on themes Mexicans had come to expect of him. He would not live in the opulent presidential palace but would turn it into a museum instead. Government perks would be slashed. Corruption would be reduced. The savings would be used to fund social reforms, including the creation of a national health service, improving old age pensions, and supporting farmers. As the two tables suggest, AMLO and his coalition partners cruised to victory. In the presidential election, he won 53% of the vote, marking the first time since 1988 that a candidate has won a majority. 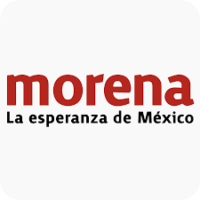 Although MORENA fell far short of a majority of its own, it does have a working majority with its presidential election partners in both the Senate and the Chamber of Deputies. The first signs since the election have been promising. The incoming administration will spend the six months before AMLO formally takes office getting to know the ins and outs of government. So far, it has been anything but rash. Neither he nor Trump have taken pot shots at each other. AMLO’s team has announced that it will honor contracts that have already been signed that allow foreign companies to invest in the previously nationalized petrochemical industry. Members of his team have announced that planned economic reforms will cost about $25 billion which they insist can be found by cleaning up corruption and waste. But frankly, only time will tell.